Our Victorian awnings are crafted using the same techniques that were applied by blind-makers in the 1800’s. Only this way can we guarantee that your shop or restaurant will be traditionally stylish and attractive. break this spell and keep the timeless charm of traditional Victorian awnings. We believe they are wonderfully versatile, and they can be the perfect solution for bars, restaurants, hotels and private houses. All barrels and arms are made-to-measure in order to fit the space available for the building they are installed upon. 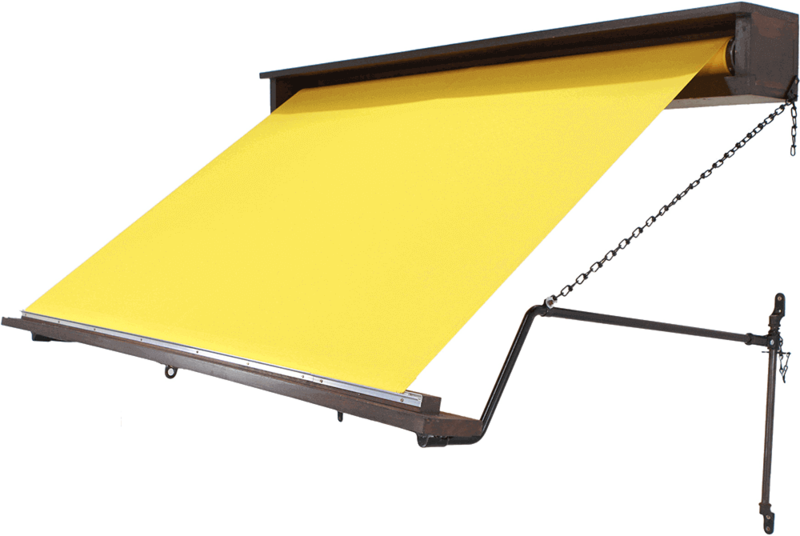 As a client, you can choose what colour you want for your case and the front lath, and the fabric that will be the cover of your new awning. Our Victorian awnings are carefully made in even the smallest detail, using traditional methods. Thanks to that, we can guarantee that they are both extremely durable and stylish.